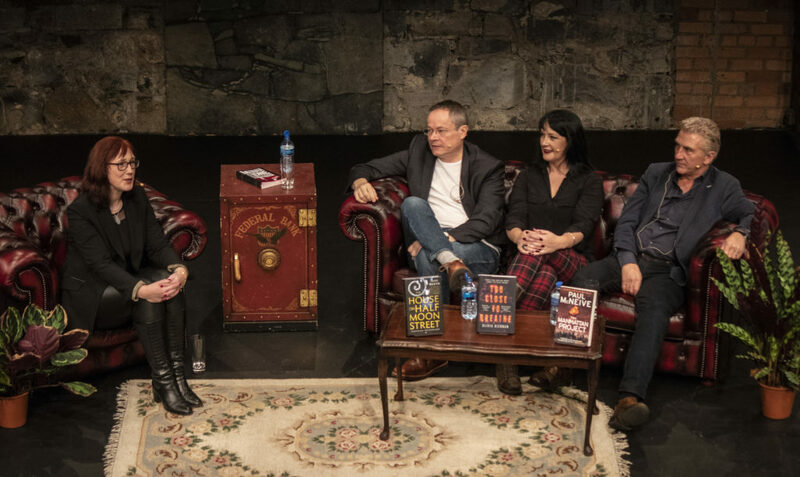 Murder One, a three-day long weekend crime writing festival that launched in November 2018 was jam packed with interviews with Irish and international authors, panel events, and a free speakers corner where attendees could listen to readings from some of Ireland’s newest crime writers. 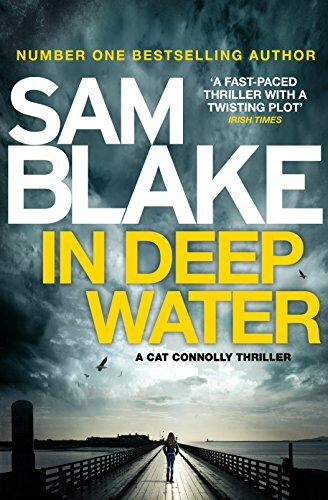 Murder One featured all aspects of the genre from thrillers and spy fiction, to police procedural and supernatural, cosy mysteries to psychological suspense with more coming for 2019 – we have something for everyone. Michael Connelly has a full house when he discussed DARK SACRED NIGHT with Declan Burke. All our fabulous authors received a hand numbered and printed limited edition Oscar Wilde quote to remind them of their visit to Dublin, UNESCO City of Literature. 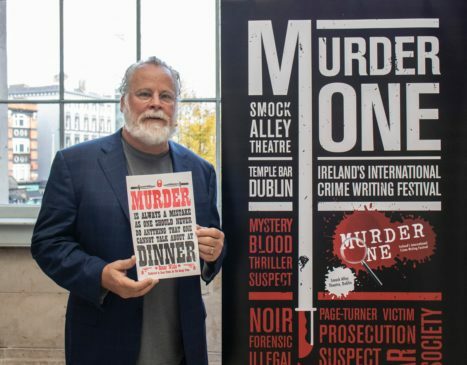 Michael Connelly opened the inaugural Murder One International Crime Writing Festival with a special preview event on October 28 2018, discussing his latest book Dark Sacred Night with crime writer and Dublin City of Literature writer in residence Declan Burke. Michael Connelly is the bestselling author of twenty-eight novels and one work of nonfiction. With over sixty million copies of his books sold worldwide and translated into thirty-nine foreign languages, he is one of the most successful writers working today. A former newspaper reporter who worked the crime beat at the Los Angeles Times and the Fort Lauderdale Sun-Sentinel, Connelly has won numerous awards for his journalism and his fiction. In Dark Sacred Night Renée Ballard is working the night beat again, and returns to Hollywood Station in the early hours only to find a stranger rifling through old file cabinets. The intruder is retired detective Harry Bosch, working a cold case that has gotten under his skin. Ballard kicks him out, but then checks into the case herself and it brings a deep tug of empathy and anger. Bosch is investigating the death of fifteen-year-old Daisy Clayton, a runaway on the streets of Hollywood who was brutally murdered and her body left in a dumpster like so much trash. Now, Ballard joins forces with Bosch to find out what happened to Daisy and finally bring her killer to justice. The main programme took place in Smock Alley Theatre, one of Dublin’s premier event venues, from 2nd – 4th November. 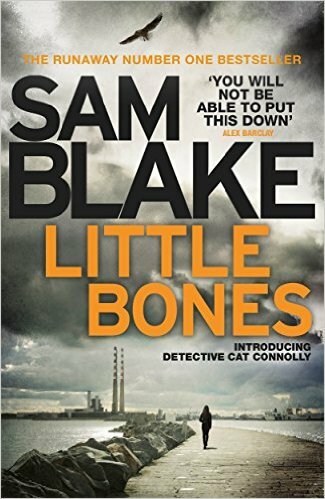 Featured over the weekend were a stellar cast of crime and thriller writers including Lynda La Plante, Peter James, Val McDermid, Mark Billingham, Clare Mackintosh, Lisa Jewell, Ruth Ware, Mick Herron and Robert Goddard together with many of your favourite Irish crime writers including Liz Nugent, Jane Casey, Karen Perry and many more. 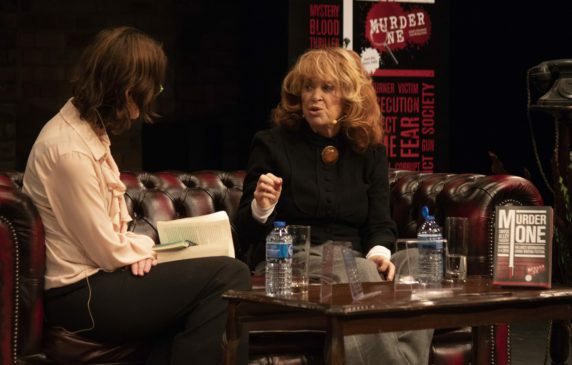 International bestselling & award winning author, Lynda La Plante, whose TV dramas from Prime Suspect to Trial & Retribution have kept viewers on the edge of their seats, discussed her criminal passions and her latest novel, Murder Mile, with Niamh O’Connor. As Widows, the movie inspired by Lynda’s hit TV series is released, does print still pull her back and how does she keep those ideas coming? Lynda La Plante was born in Liverpool. She trained for the stage at RADA and worked with the National Theatre and RDC before becoming a television actress. She then turned to writing – and made her breakthrough with the phenomenally successful TV series WIDOWS, that has been adapted for film this year. Directed by Steve McQueen from a screenplay by McQueen and Gillian Flynn WIDOWS features Colin Farrell, Robert Duvall and Liam Neeson, and is released by 20th Century Fox on November 16 2018. In her latest book, Murder Mile, Prime Suspect meets Ashes to Ashes as we see Jane Tennison starting out on her police career . The fourth in the bestselling Jane Tennison series, Murder Mile is set at the height of the ‘Winter of Discontent’ in February 1979. Can Jane Tennison uncover a serial killer? Lynda La Plante also brought festival attendees a unique free workshop for anyone interested in the world of forensics or Crime Scene Investigation. This interactive event is hosted by Think Forensic whose experts include CSI’s, forensic scientists, and senior investigating officers. 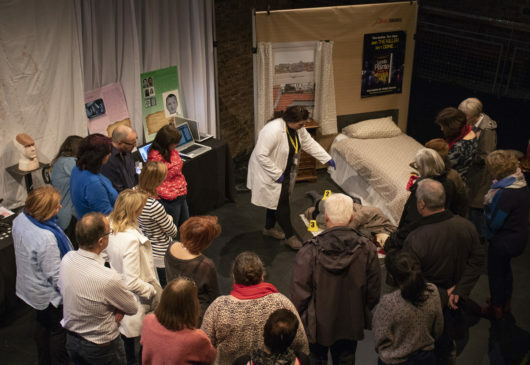 In Lynda La Plante’s CSI Murder Room, vistors got a hands on introduction to forensic science during which you will be briefed on the crime of the day, inspired by Lynda’s newest thriller Murder Mile, and help the team solve it. Signed hardbacks are available at The Gutter Bookshop – get in touch to order yours! Murder One has been developed and is curated by two of Ireland’s most experienced literary event programmers, Vanessa Fox O’Loughlin of Writing.ie (aka crime writer Sam Blake) and Bert Wright formerly of Mountains to Sea dlr Book Festival and currently curator of The Dublin Festival of History and the DLR Voices Series. 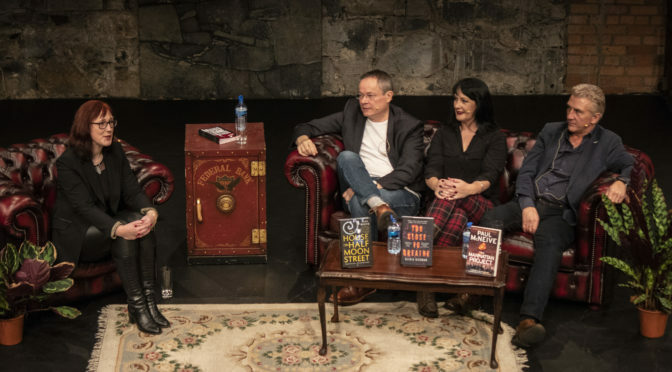 Working with Dublin City Libraries, Dublin City Events, and Dublin UNESCO City of Literature, this sensational festival attracted engaged crowds to see some of the biggest names in international crime writing. We’re planning the 2019 festival now – sign up so you don’t miss our news. 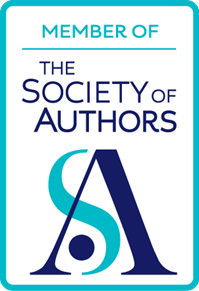 Need an author to talk to your book club or at your festival? 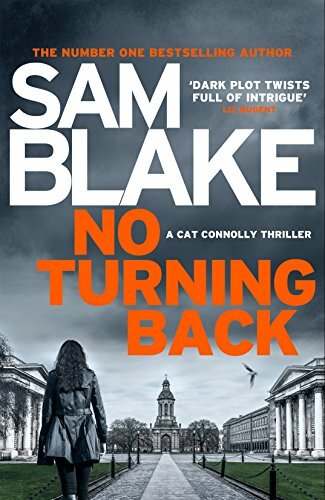 Sam Blake is an experienced public speaker who has appeared on radio and TV many times - she loves meeting people and any excuse to talk books! MURDER ONE! 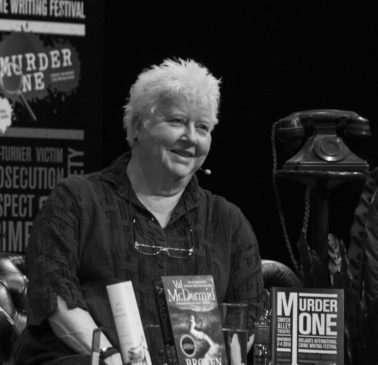 Ireland’s International Crime Writing Festival BOOK NOW!